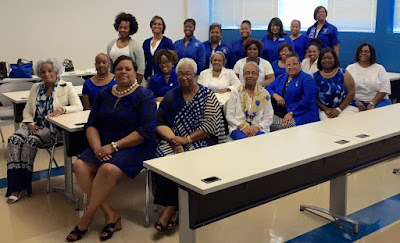 The 2015 State of Georgia Leadership Conference was held on August 1st at Fort Valley State University and was well attended by KIZ sorors. Sorors spent the morning receiving National Updates from State Director Shaneesa Ashford followed by informative breakout sessions on Managing Conflict, Recruitment and Retention, Budgeting, Parliamentary Procedure and Z-HOPE Implementation. After a working lunch that involved an interactive exercise on managing different personality types within a committee, State Director Ashford brought sorors back together to review the State of Georgia Goals for the 2015 – 2016 sorority year. The day concluded with a Z-HOPE donation to a local Fort Valley charity.